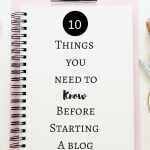 November 13, 2018 By Morgan M Woods Leave a Comment This post may contain affiliate links. 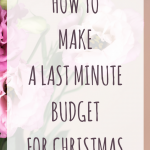 I recently posted about how you can make extra money online for Christmas with matched betting. 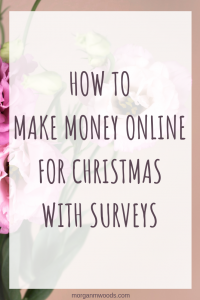 This post is the second in this series and today we will focus on making money for Christmas with surveys. Last year I challenged myself to make enough money from surveys to pay for our entire Christmas. This lead to me making around £200 on average each month just from surveys in the run up to Christmas. 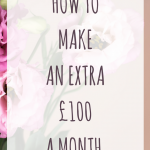 Needless to say I achieved my goal and created the blog post how to make £200 each month with surveys. This year I plan to do the exact same challenge and pay for our entire Christmas using survey earnings. Making money with surveys isn’t the quickest way to make extra money online. 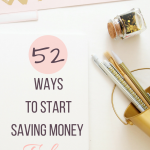 If you want to make more money in a quicker timeframe then I would definitely recommend getting started with matched betting. However there are some benefits to making money with surveys. The first one being that there are no upfront costs when you sign up for a survey site. Meaning that you can start making money from your laptop or phone today and it won’t cost you anything. Secondly you can complete surveys online from anywhere. You’re not tied to a particular location and this means that you can make money while watching tv or even while waiting for the kids to come out of school. 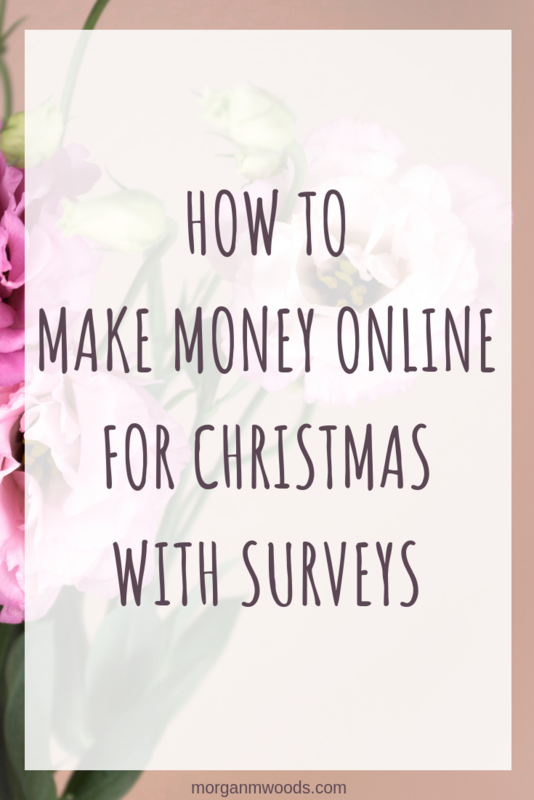 Although the money per time might not always be amazing completing surveys are super easy to do and any extra cash will come in handy at Christmas time. 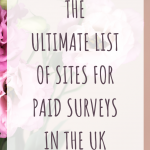 I would recommend signing up to a few survey sites and create a dedicated email address that you will use just for surveys. When you do register to the survey sites make sure you complete any sign up or profile questionnaires. Filling these in fully will prevent you from getting screened out in the future and this will save you time in the long run. Pinecone Research – You can make £3 per survey with Pinecone as well as potential freebies from product trials. Prolific Academic – This survey site won’t screen you out and only offers studies that fit your demographic. Branded Surveys – Get regular surveys and a daily poll to earn points. MySurvey – MySurvey don’t pay the best but they always have available surveys to take and points quickly add up. 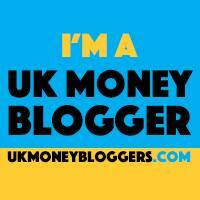 Inbox Pounds – Grab yourself £1 just for signing up! If you put in around 30 minutes a few evenings a week you could make at least £300 in time for Christmas. This would obviously depend on how well you use your time and what surveys you have available when you choose to do it. 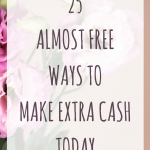 For more tips on making money with surveys check out How to make £200 each month with surveys.